In a decree ordering that a case will start to be heard in October, Mr Justice Grazio Mercieca took the opportunity of giving the history of the Courts’ summer recess. This was held in a decree in a case filed on 14 August 2018 in Malta Stock Exchange plc -v- Pefaco International plc. The Malta Stock Exchange (MSE) had filed a court case, using the special summary proceedings procedure, known as “bil-giljottina”. Article 29 of the Code of Organisation and Civil Procedures allowed a Board on the Rules of Court and the Minister to establish which are the sessions to be used by the various courts throughout year. Two 2008 Legal Notices establish that the summer recess should take place between 16 July and 15 September of each year. 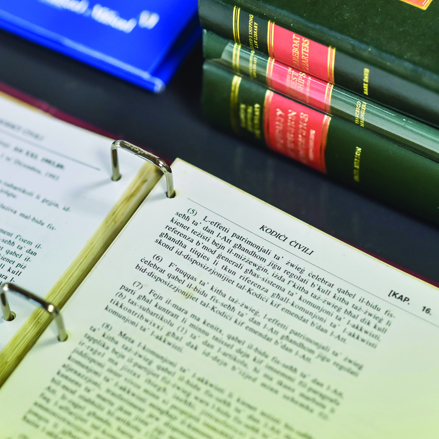 Mr Justice Mercieca pointed out that the same regulations dictate that the next session should start on 1 October, leaving uncertainty of what takes place between 16 and 30 September. “At the expiration of every three months (which period shall be termed a Session), there shall be a vacation of one month; during which time the said several Courts shall be at liberty to adjourn, subject to the provisions hereafter to be established for each of the said Courts respectively”. At present we have three sessions, Epiphany, Pentecost, and Vittoria. According to Sir Antonio Micallef – who wrote on the Code de Rohan at the beginning of the British rule in Malta – he said that the vacation days did not interrupt the running periods established by law. Sittings were allowed to be held during the recess only in urgent cases, with the approval of both parties and as directed in writing to the court. In this present case, MSE filed their case on 14 August 2018 using the special summary proceedings, where Article 169 of the Code of Organisation and Civil Procedure stipulates that the first sitting should be held within 15 days and not longer than 30 days from notification. There is nothing blocking the court from holding a sitting during the summer recess if there is a reason. That reason should not be capricious. The Court could not find a valid reason to hold a sitting during the Court holidays and therefore, was to fix a date after the recess. Mr Justice Mercieca then explained that the procedure of special summary proceedings is an extraordinary procedure that puts the defendant at a disadvantage. The Court used amendments enacted in 1995, that would allow the Court to defer the case, while keeping intact the special summary proceedings procedures. After seeing the acts of the case, such a course of action would not prejudice either of the parties. The Court then moved the case to be held in early October.